We all know where leg of lamb comes from, what it looks like and, probably, how to cook it but, as we’ve been trying to demonstrate for the last few months, there is usually no single best way to cook a piece of meat and a bit of thinking outside the box will often yield unexpectedly satisfying results. A leg of lamb is one of those truly celebratory meals. Studded with garlic, rosemary and the optional anchovy or two and cooked to slightly pink perfection, it takes a lot of beating. It’s a sizeable chunk of meat so aim for too rare and it’s likely to be almost raw around the bone. Slow roasts and ‘pulling’ are still all the rage but I wouldn’t even think about it with leg. Shoulder, definitely yes – leg, no. It’s like shredding a piece of fillet steak – a complete waste! To roast whole, leave out of the fridge for as long as possible – at least an hour but longer if time allows. The warmer the middle gets, the more evenly it will cook. Henry Dimbleby and Jane Baxter gave their A-Z in the paper a few years ago and it’s hard to disagree with anything they say (apart from the slow roast option). You’ll get a fair bit of fat off any cut of lamb so the whole boulangère potato thing is always a winner – except I mean sliced. As they point out, lamb and salsa verde is also a winning combination but I’d save it for lamb steaks or the barbecued, butterflied leg option below. If your garden is anything like mine, mint sauce is the thing – even if it’s just for weed control. Butterflied Leg of Lamb; called this because, skillfully done, a whole boneless, opened out, leg of lamb does pass a vague resemblance to an enormous, extremely un-aerodynamic butterfly. If you want to try yourself have a look at this video and instructions, or numerous other sites, but in practice you’ll normally be cooking smaller, individual muscles and these work far better. Being thinner (and deeply scored), the meat will absorb marinade flavours more readily. What you use is up to you, but a mixture of equal amounts of garlic, baharat spice mix, turmeric, fresh ginger and salt and a bunch of chopped coriander, loosened with lemon juice work well. Marinate overnight. Jamie does Mexican while Nigella goes for bay leaves and balsamic. Mary Berry favours thyme and preserved lemons so it really is a broad church. When the time comes, light the barbecue and when it’s up to temperature sear well on all sides. Wrap in foil and, if you have a cool, well baffled spot, on the barbecue, cook through to a core temperature of 60°C – no more (if you haven’t already, please treat yourself to a meat thermometer). If not, and you’re not too far away, put it in a 160°C oven for half an hour. Of course you don’t have to roast or barbecue it. For me two of the best lamb recipes are braised in milk and fennel and Jane Baxter’s Navarin of lamb. Both truly sumptuous and equally good with spring or old season lamb. I’m not sure where the idea of filling out skewers with bits of vegetables comes from but, for me, it rarely works. Making and cooking kebabs takes a bit of precision; which is hard to achieve with irregular shaped pieces of vegetables and trailing outer edges of burnt bell pepper and onion don’t do it for me. So my advice is to cook the vegetables separately. My other pearl of wisdom is not to cram too much meat on to the stick – you need to get an even 360 degree charring which won’t happen if the heat can only get to half of it. Kebabs aren’t just for the barbecue so the recipe below is for cooking on a griddle pan. 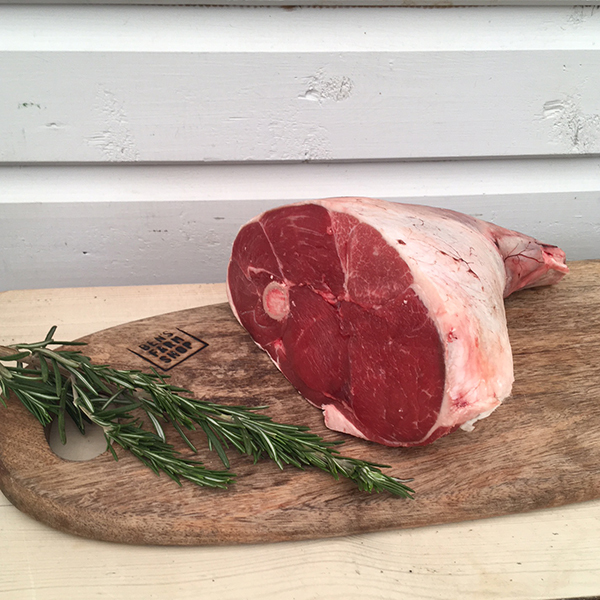 If you’re barbecuing, thread the meat onto skewers – our ever friendly butchers will provide them. 200g mix of finely shredded red and white cabbage. Mix the garlic and cumin until combined and add the diced lamb. Stir until completely coated. Set aside for at least two hours, or chill in the fridge overnight. Heat a griddle pan over a high heat until smoking hot. Add the coated lamb cubes to the hot pan, in batches, and season, to taste, with salt. Grill for 3-4 minutes on each side, or until golden-brown griddle marks appear on both sides of the meat cubes and the lamb is cooked to your liking. Remove the lamb from the pan and set aside (keep warm). Repeat the process with the remaining coated lamb cubes. Mix together all of the yoghurt sauce ingredients in a bowl until well combined. Meanwhile, for the flatbreads (or pitas), heat a separate griddle pan over a low heat. Cook each flatbread, one at a time, for 1-2 minutes on each side, or until warmed through. To serve, spoon a dollop of the yoghurt sauce into the centre of each flatbread (or opened pita). Pile a little of the cabbage on top of each flatbread, then drizzle over the chilli sauce. Place slices of tomato and onion on top, then sprinkle over the cucumber pickle and dill. Add the cubes of lamb, then sprinkle over the pickled chillies. Squeeze over the lemon juice, then fold the edges of the flat bread over the filling.